Rootsy har tidigare berättat att Van Morrison klassiker »Moondance« återutges i deluxe-version i september. En som inte verkar helt nöjd med detta är Van The Man själv. 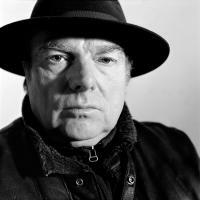 »Yesterday Warner Brothers stated that «Van Morrison was reissuing Moondance». It is important that people realise that this is factually incorrect. I did not endorse this, it is unauthorised and it has happened behind my back. My management company at that time gave this music away 42 years ago and now I feel as though it's being stolen from me again.